Injuries of the ankle that involve rolling or twisting of the joint can often result in what is called an ankle sprain. In this type of injury, the ligaments connecting the various ankle bones are over-stretched, leading to tears or ruptures. The body’s natural healing response leads to pain and inflammation. Many times, a person who has suffered an ankle sprain will not be sure if it’s a sprain (soft tissue injury) or an ankle fracture (a break in one of the bones). A podiatrist should be seen for an evaluation and X-rays. Aside from pain and swelling, there may also be bruising in the ankle. 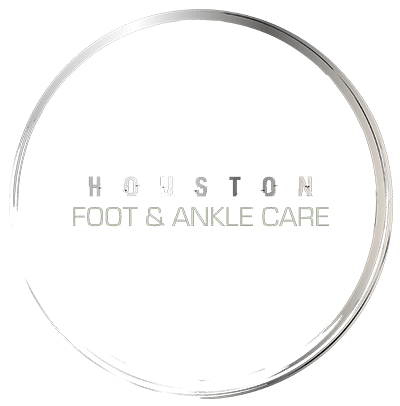 Most ankle sprains can be treated without surgery, which is generally reserved for cases where the ligament has been torn or otherwise structurally weakened. In those instances, a surgical procedure will be performed to repair damage and restore normal function. Ankle sprains are unavoidable, but risks can be mitigated by strengthening the ankle and lower leg through regular exercise and stretching, and by wearing appropriate footwear during physical activity. If you have weak ankles, the use of a brace, taping or other support may be beneficial.